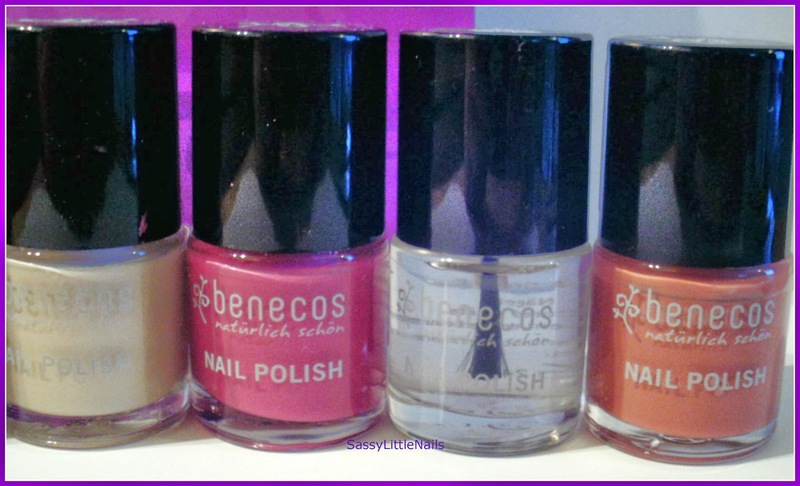 SassyLittleNails: benecos natural Nail Polishes review! 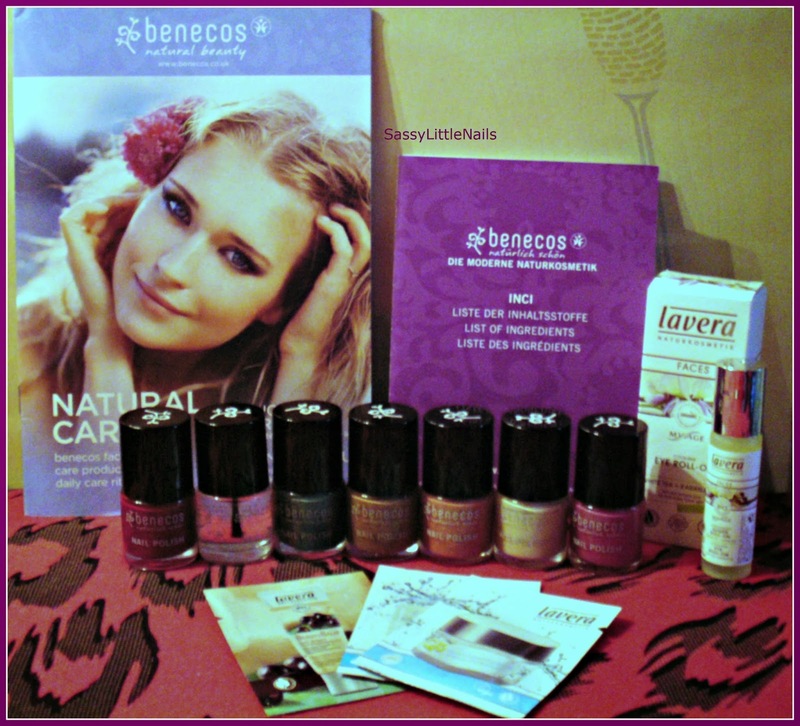 benecos natural Nail Polishes review! Hello Dear Bloggers. it sure is chilly out there.hope you all keeping warm and well. an online natural and organic beauty shop. From left to right :Cherry Red. Sweet Nougat. Pepper Green. From left to right : Sandstorm. My Secret. Crystal. Rose Passion. 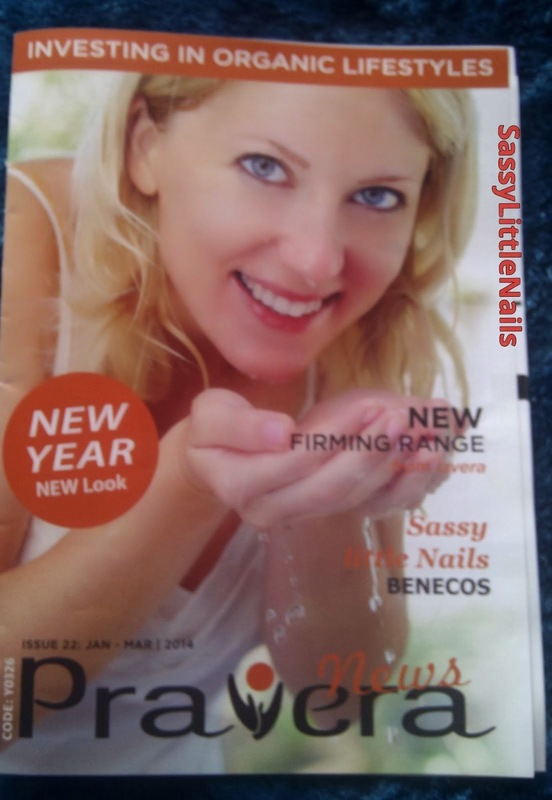 Your hands are on show daily, give your nails a splash of colour with benecos natural nail polishes. benecos offers 16 different brilliant shades of natural nail polish, there is at least one nail polish to suit you, all the nail varnishes are vegan friendly, free from toluene, formaldehyde, camphor, phthalates, clolphony, this natural nail varnish has not been tested on animals. 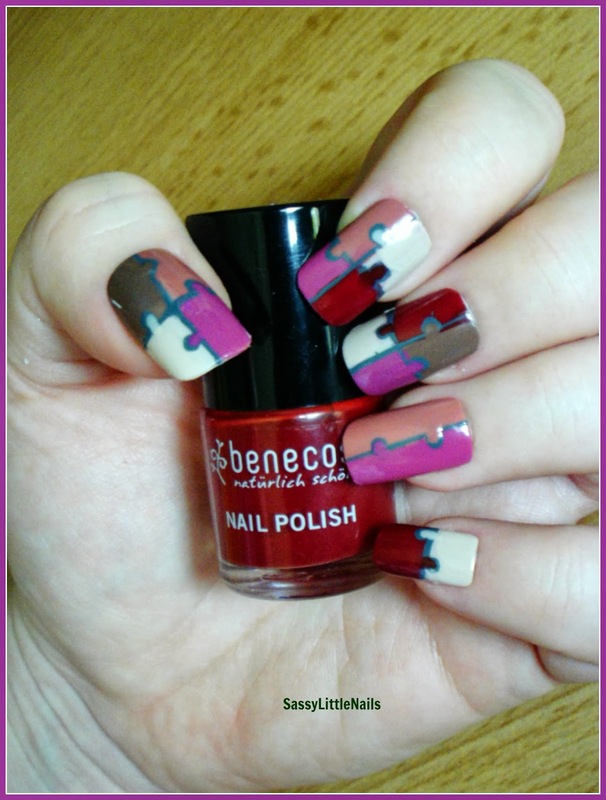 Finish off the look with a coat of benecos clear nail polish. 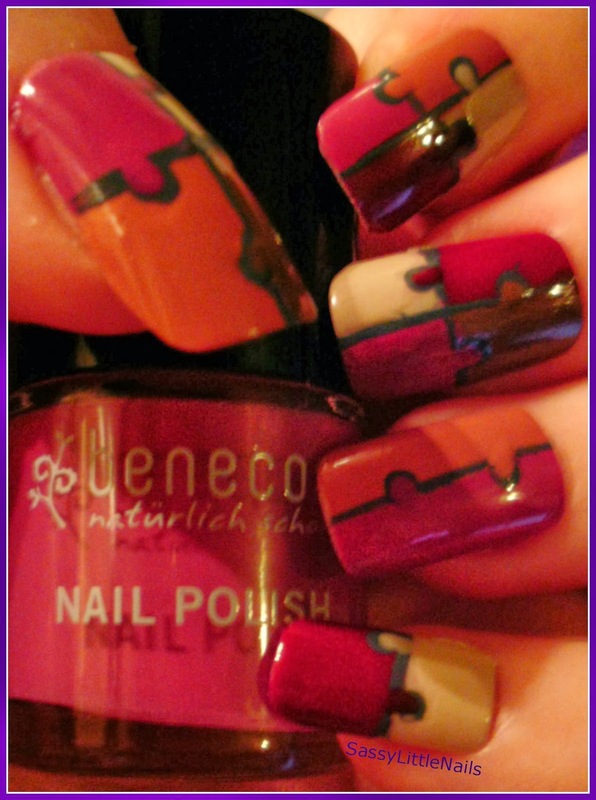 Brush: It applies wonderfully (as do all of the benecos nail polishes,)Brushes on very well. Top Coat: The clear polish in Crystal is wonderful gives a glossy finish. Color accuracy in pictures: good. 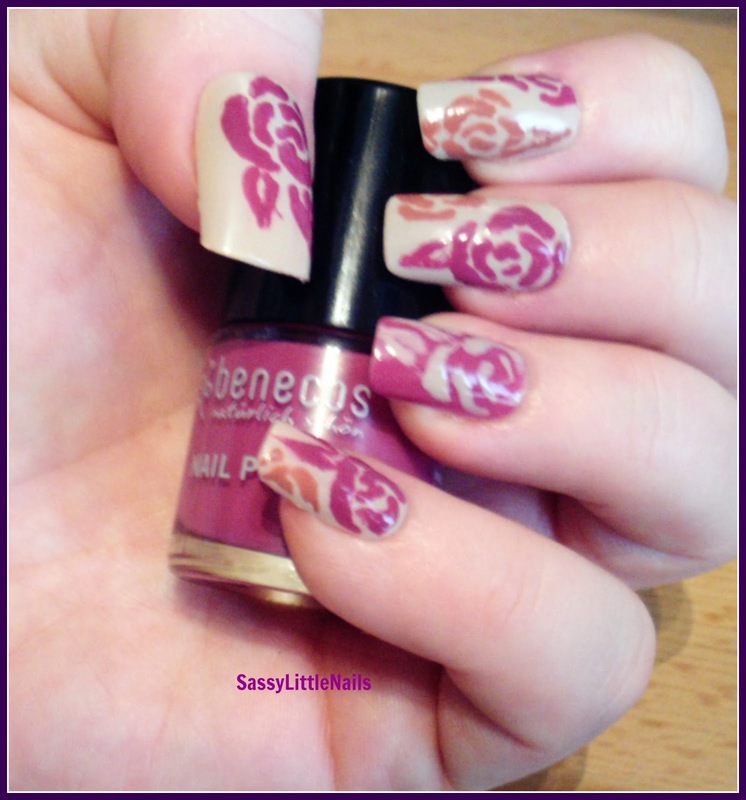 And now for my Nail art creations with the benecos polishes! 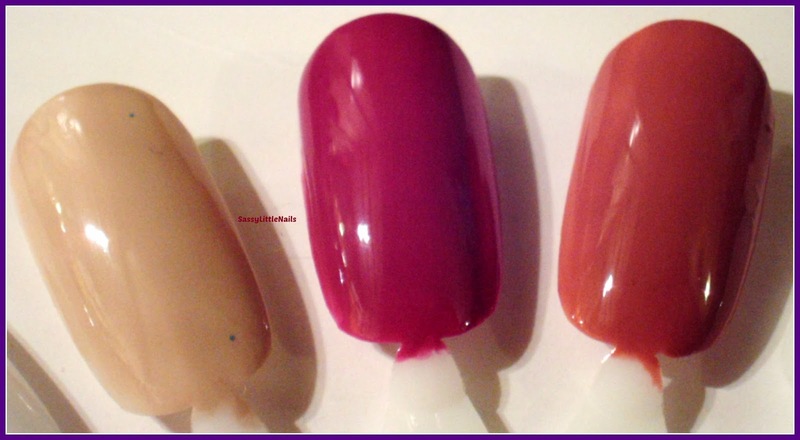 The thumb and all the fingers apart from the ring finger and little finger, I chosen 4 benecos shades :Sandstorm.My Secret.Sweet nougat.Rose passion.Cherry Red.Pepper green. and did a square grid and painted each shade in the individual squares. 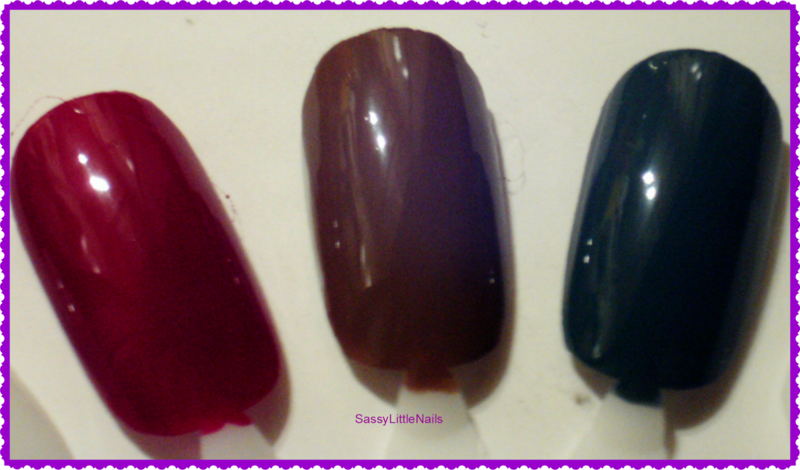 I chosen2 shade for the ring finger and the little finger and halved the nail. I used a dotting tool and did the circles and then I used a nail art brush and outlined them in the Pepper Green. then I applied the benecos Crystal top coat. I used a make-up sponge and a dotting tool.I took 3 benecos shades and painted 3 stripes across the sponge then dabbed the sponge on to each nail except the ring finger.I painted that in Sandstorm.I repeated this sponge effect 2/3 times then once dry I applied a top coat.went over the nails with the dotting tool and all done! I painted a base coat using benecos Sandstorm and on the ring finger I used Rose passion,I then used a dotting tool to make the leopard dots in Sweet nougat.and then using the dotting tool I took some benecos Pepper Green to finish the leopard print applied the benecos Crystal top coat and all done! 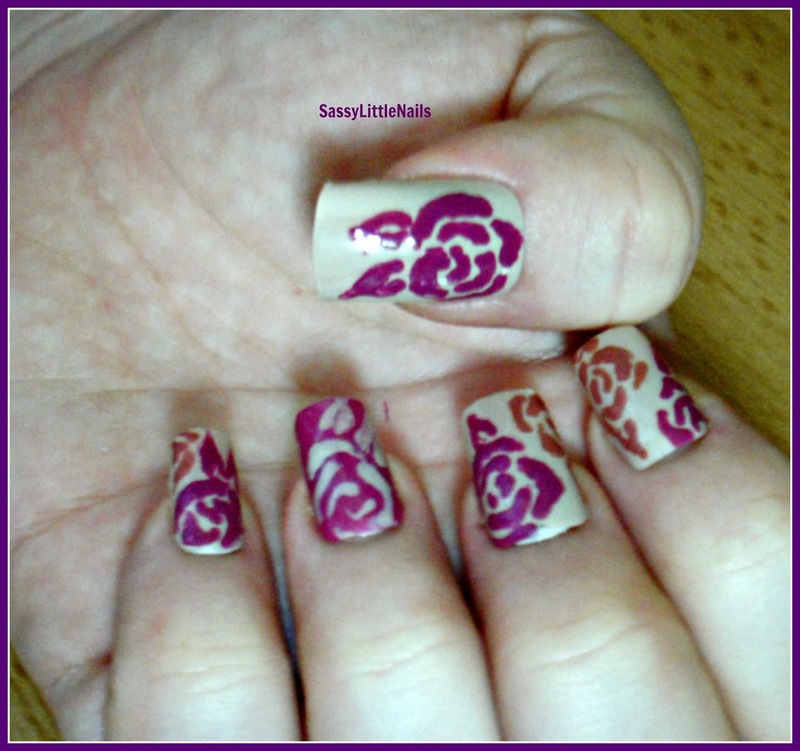 I used benecos Sandstorm as a base for the thumb and fingers except the ring finger I used benecos My secret.then I used my nail art brush and hand painted the roses in My secret and Rose Passion. applied a top coat and done! I used the benecos Sandstorm as a base on all the fingers and thumb except for the ring finger I used benecos Cherry Red.as a base. 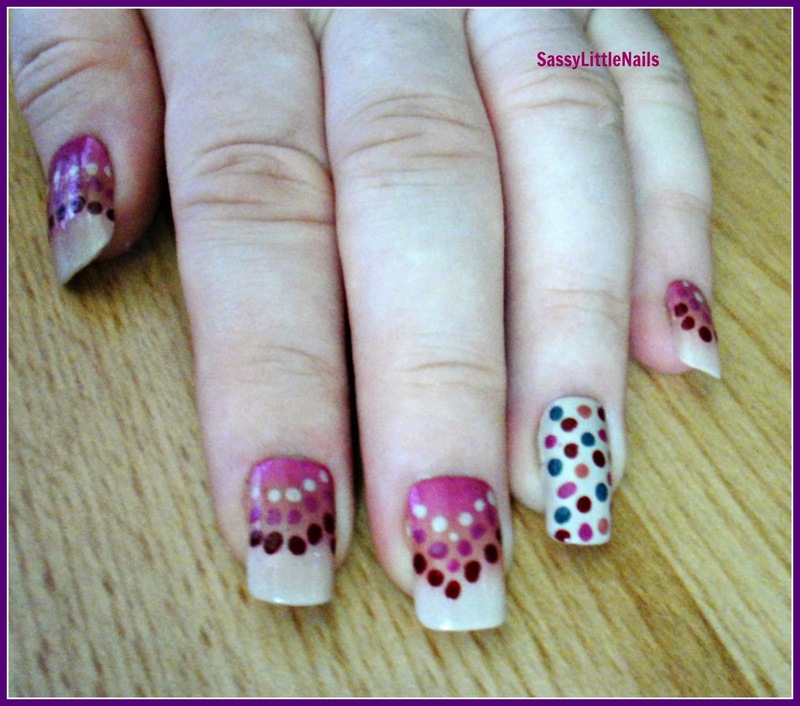 I used the benecos Sandstorm with a dotting tool and placed some dots on the ring finger. I also used the benecos Cherry Red for the holly using a dotting tool and did 3 dots. 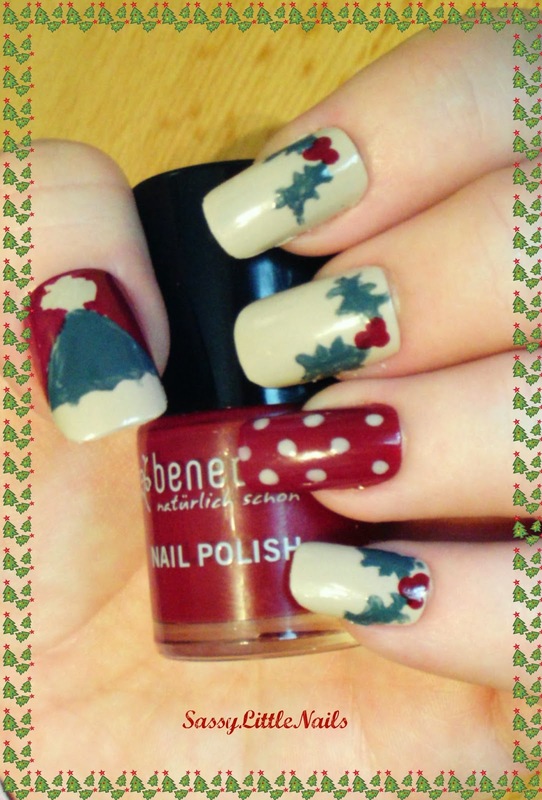 I used the benecos Pepper Green for the holly leaves using a nail art brush. applied a top coat. 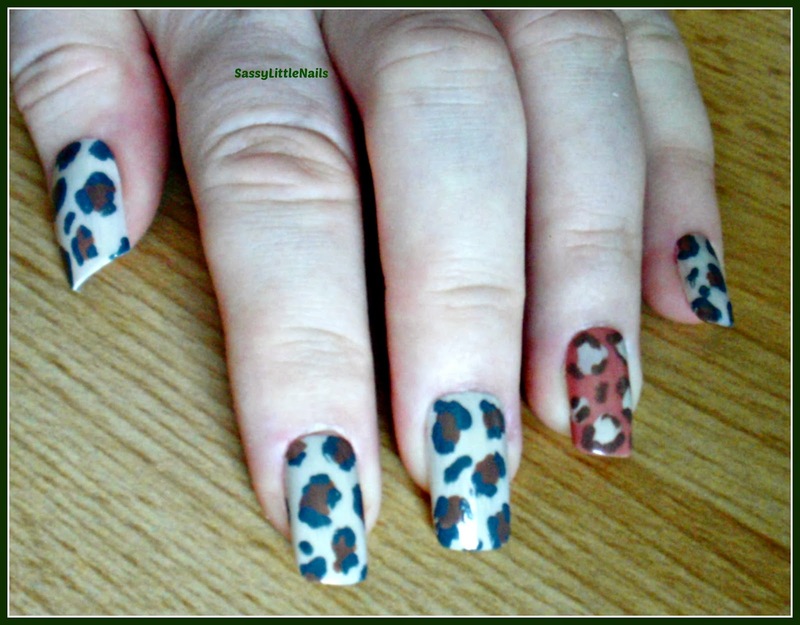 I really enjoyed doing these Nail art designs requested by Ingrid from Pravera Direct, I want to take this opportunity to say a big thank you to the fabulous Ingrid for kindly sending me the great products benecos Nail Polishes to review. 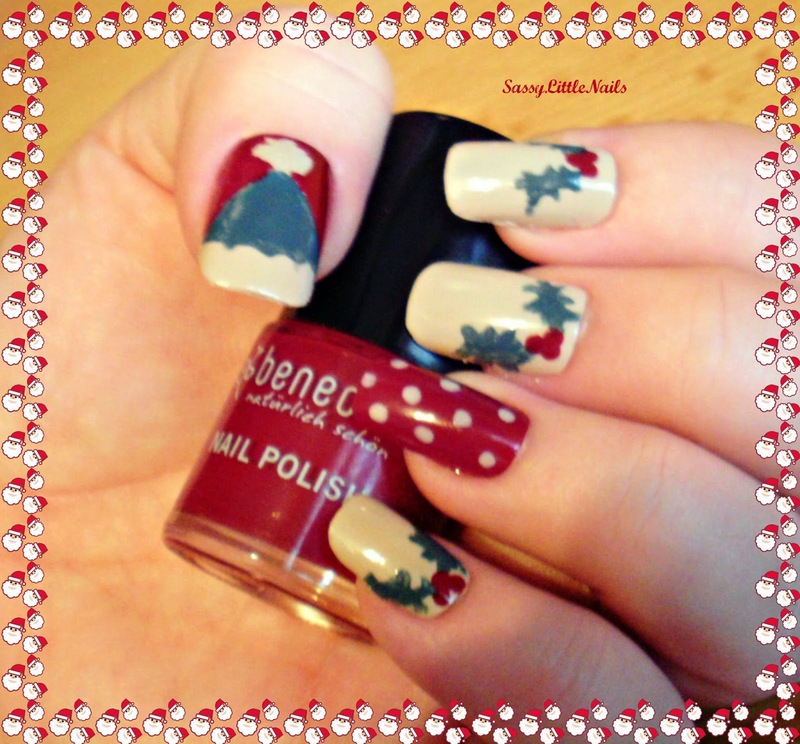 I highly recommend benecos polishes you will love them like I do. 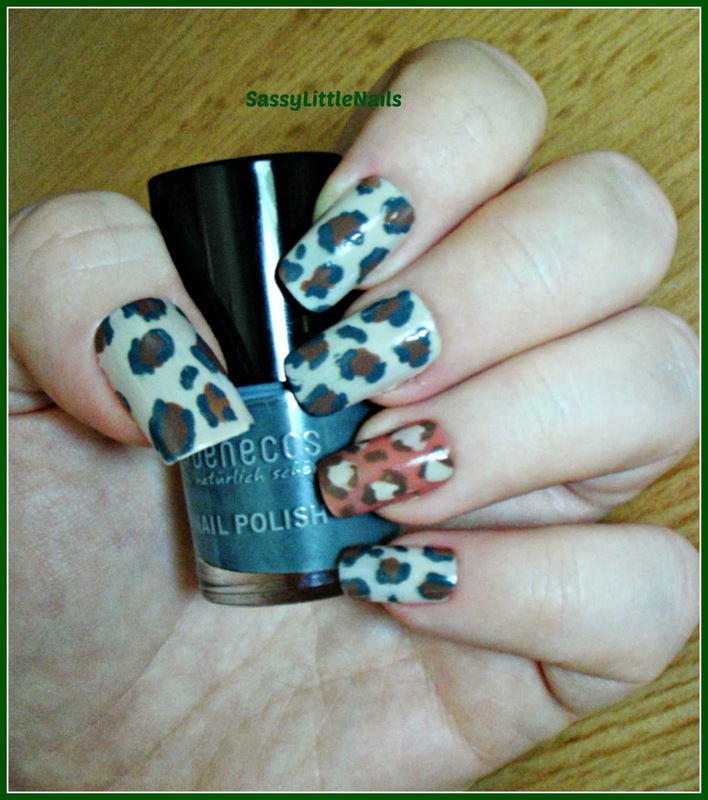 Get the Fabulous nail art you like without the toxic chemicals.Click HERE to see the collection of Polishes from benecos. 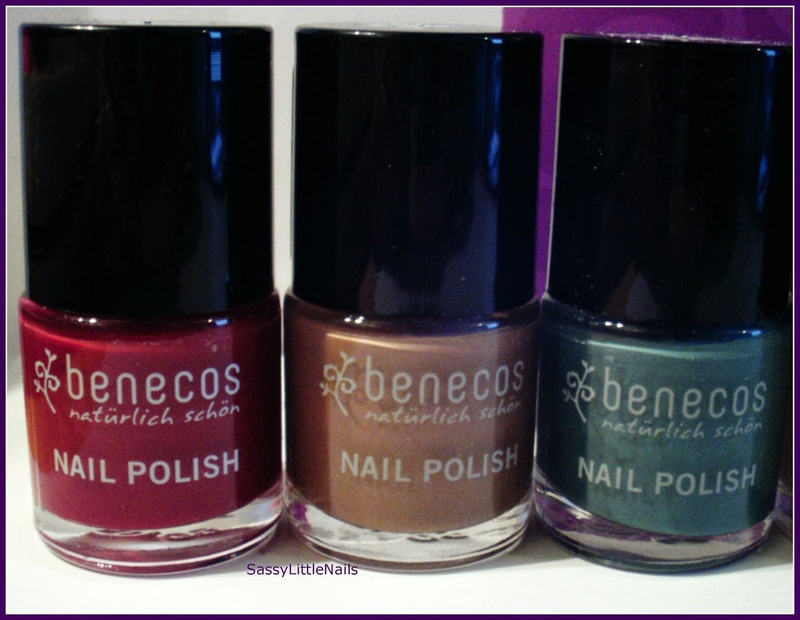 Have you tried benecos polishes?which shade do you like best? for review you can check that review HERE. More posts coming up shortly. 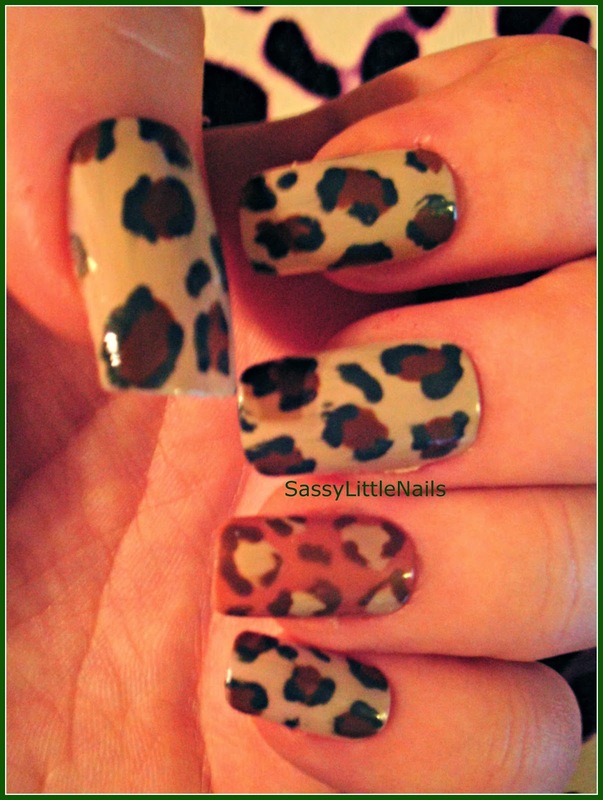 Hi Sophie :) I agree nail art is fun and doing the festive nail art will be even more fun I love it hehe. Wonderful designs! You are relly artist. And these jigsaw wow...so perfect! Hi I'm Jenn!! Following from the meet and greet! 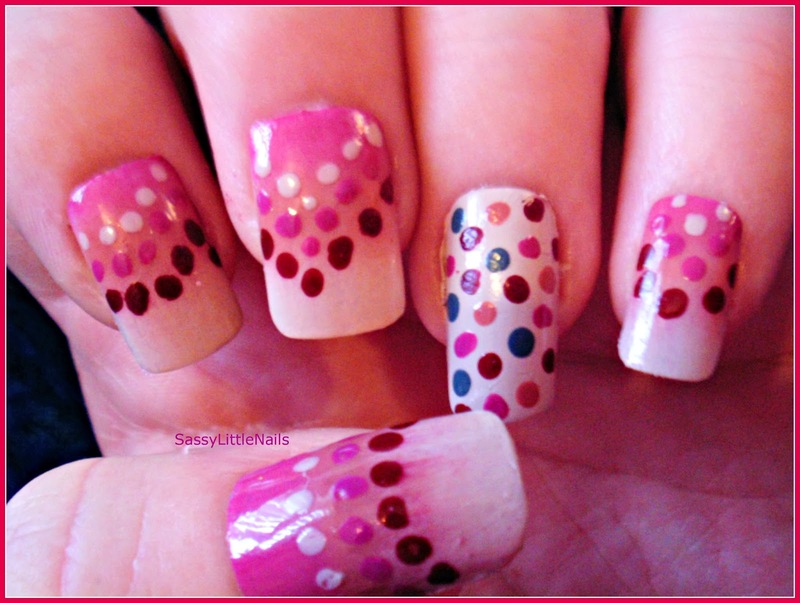 Great nail designs!! Talent right there! 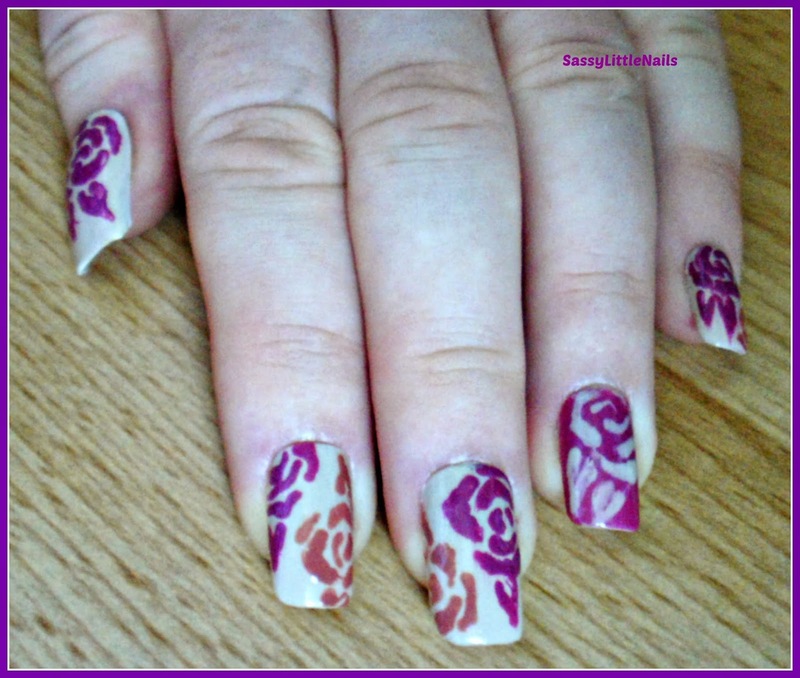 Sparkly Nails nail art Festive stickers review! My sk-in skincare products review!